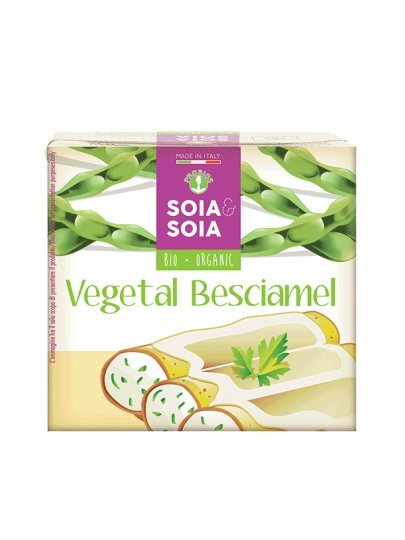 SOYA & SOIA soybeam beschamel is ideal for preparing so many fine recipes. Ready to use; does not contain animal fat and is therefore free of cholesterol. Great for preparing lacing, cannelloni and pasta in the oven. All soy comes from the Italian farm, thoroughly GMO FREE. Keep at room temperature. Refresh after opening, spend within 3/4 days.